This is an extremely well made and very useful addition to the home cant be denied. The fact its mobile and can be used anywhere, the patio, the conservatory and inside the house, saves all that walking ! 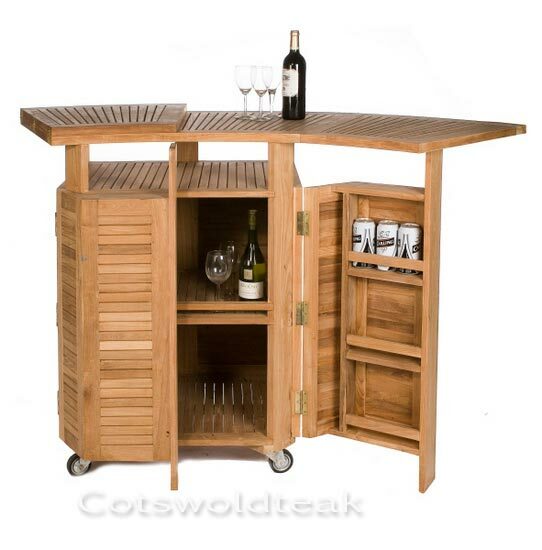 This is a well made and attractive mobile bar which also doubles as a surface for potting plants. The staff at Coltswold Teak are easy to deal with and knowledgeable. Andy kept me informed about shipment and communicated well. Their driver was prompt, polite and helpful in moving the bar where I needed it. Thank you. 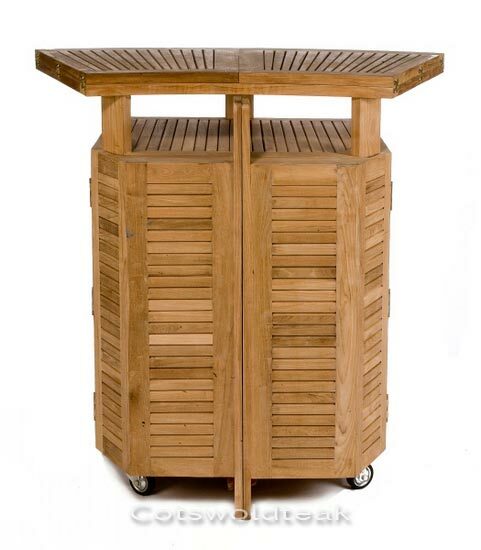 The workmanship and quality of this mobile garden bar are excellent. We are very pleased with our purchase. 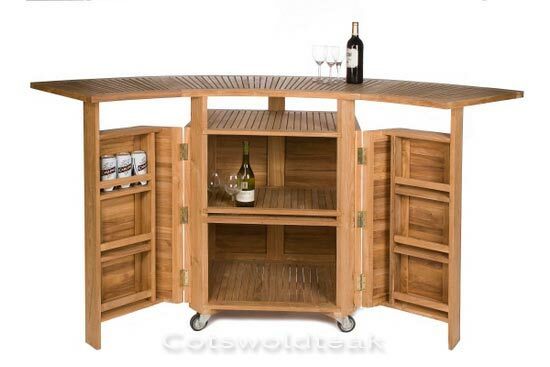 The service from the team at Cotswold Teak is second to none. Helpful, friendly and polite, they communicate well and demonstrate a commitment to customer satisfaction which is sadly too rare these days. Thank you. Teak Rectangular Extending Table Seating 8. Discounted price includes Cushions, Parasol & 8 Chairs of your choice. 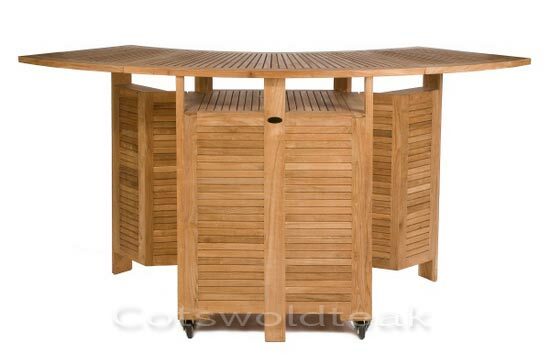 Click the button below to add the Teak Bar was £600 Now with 30% off is: to your wish list.